This past week was all about frames. 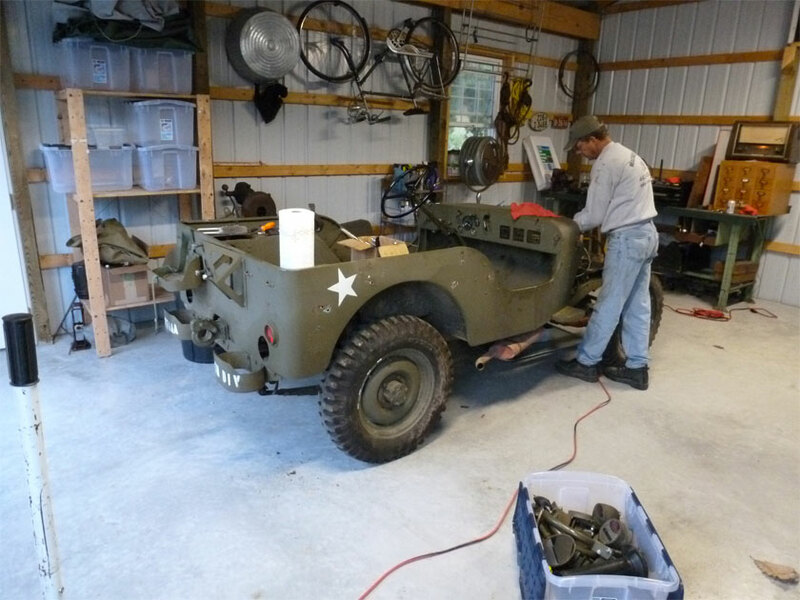 Bobby cut and straightened the frame on the veteran’s Jeep, and then we moved on to finishing another project. 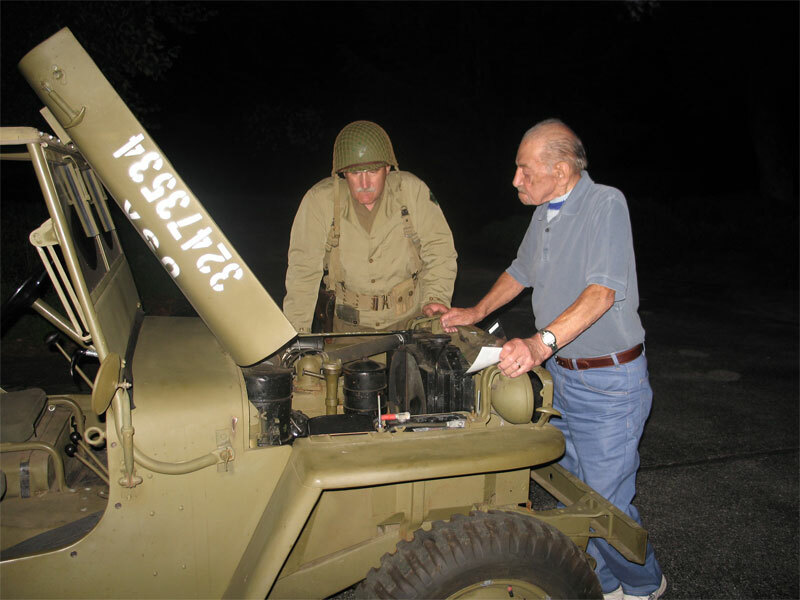 Jim is working on a WW2 Jeep with his father. We are doing the major metal work and then they are doing assembly. This weekend marked the end of the frame phase of the project. 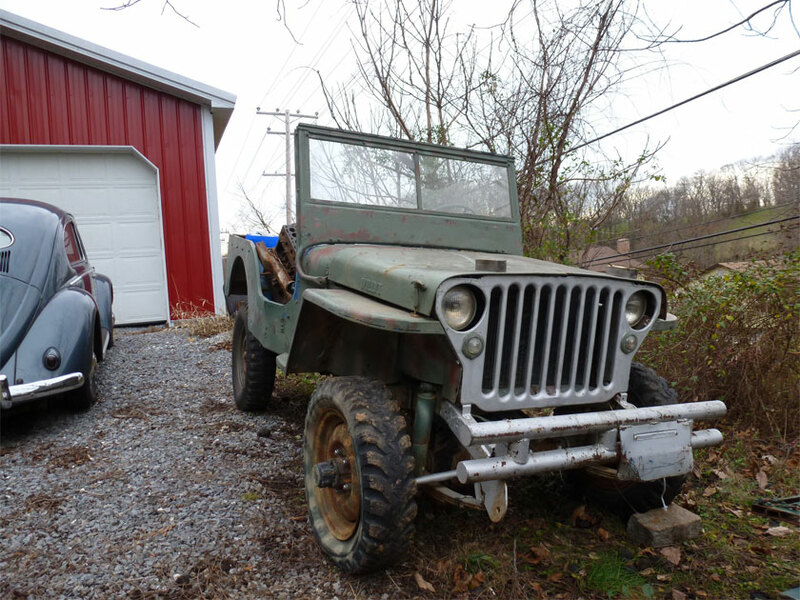 This Jeep shows signs of an interesting history that I wish we knew more about. It came from out west and was subjected to many Bubbafications. Prior to Bubba it was modified in WW2 for a machine gun mount. Dig that groovy pipe bumper on the front!! 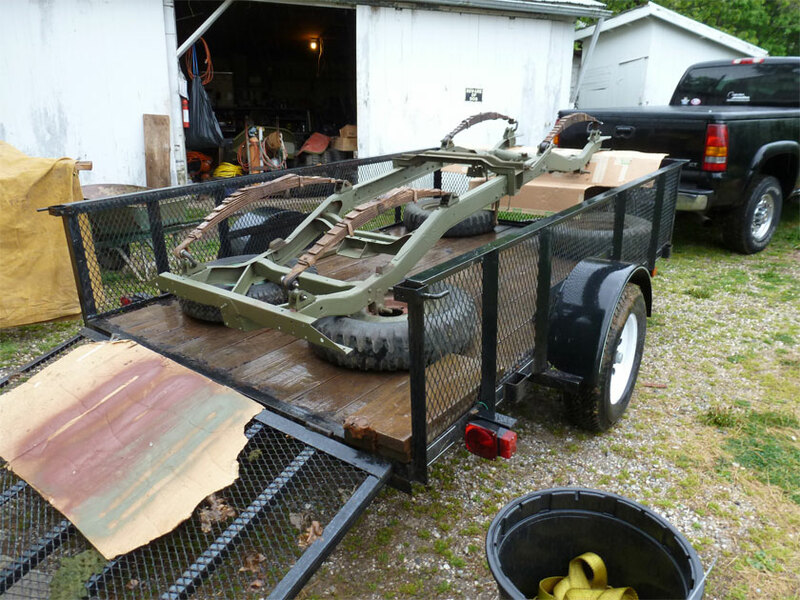 The frame required MANY repairs. First off, the obvious removal of the huge pipe bumper on the front, then the removal of an extreme lift kit added in. The rear needed to be completley redone and the front frame horns and shackles replaced. 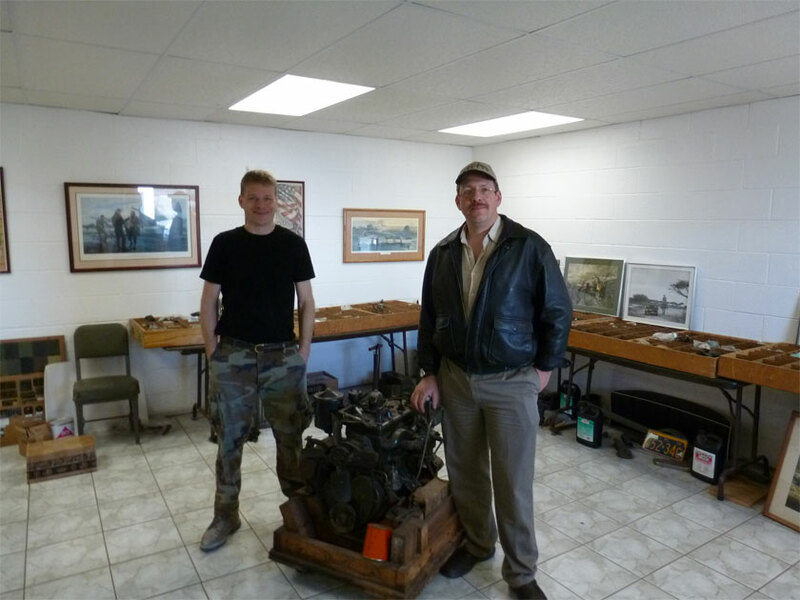 Meanwhile the engine went to Jim and his father, Dale. Sadly the first engine turned out to be a former industrial engine with MANY issues as well. I am sure the Bubba who attacked this vehicle with a complete lack of any mechanical understanding will reside in a special hell designated for those who anger the Jeep god. The engine was re-sleeved, but the cylinders were completley bored out so the sleeves shifted. This was one minor issue among many that destroyed that engine. Another Bubba issue was the special springs he had installed. (you should have seen the huge Mudder tires and wheels that were on it too!!) 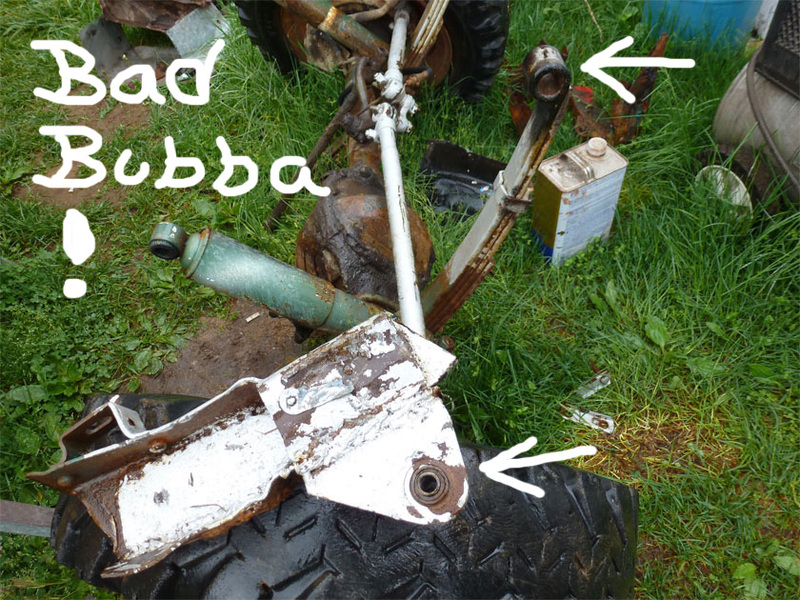 Bubba cut the original threaded shackles off the frame, then drove bushings into their hollow cores. I spent several hours with my torch and a wide variety of tools I invented trying to unthread the remains of the old shackles to no avail. Plus the springs could not be used as correct shackles would not fit in them. We ended up having to replace the rear shackle mounts on the frame also due to this issue. Now we will move on to the tub restoration (one of four tubs in the lineup) The tub is very cool as it shows signs of once having a passenger side machine gun mount. The glovebox is cut and welded in just the right spots so Jim is searching for the appropriate mount. 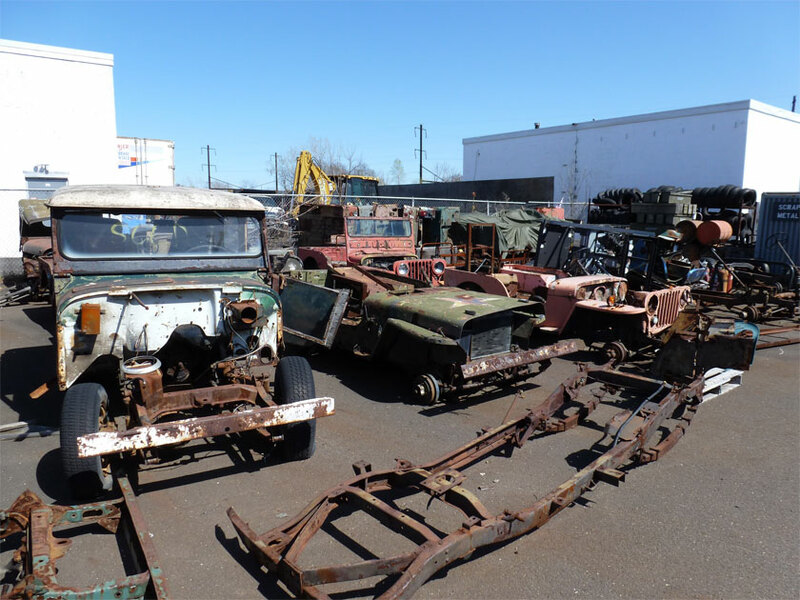 Just a reminder if you want parts, military collectibles, project vehicles, or just want to browse, the massive East Coast Military Vehicle Rally sponsored by the Washington Blue and Grey MVPA division is coming May 10-12. 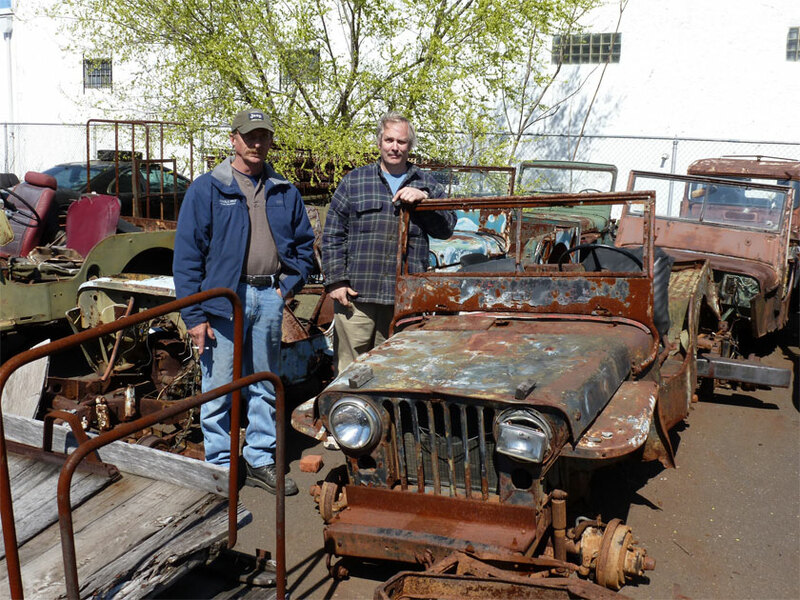 In our exploration of Crazy Ray’s junkyard we found a few other gems in the junkyard. 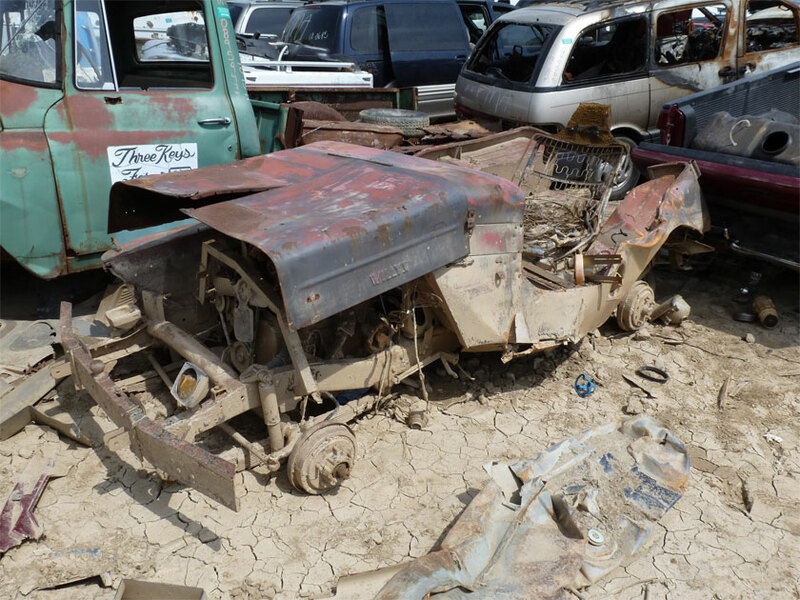 The great part of the junkyard experience for me was being able to wander around and explore the treasures lost among the new cars that most fellows were stripping parts from. 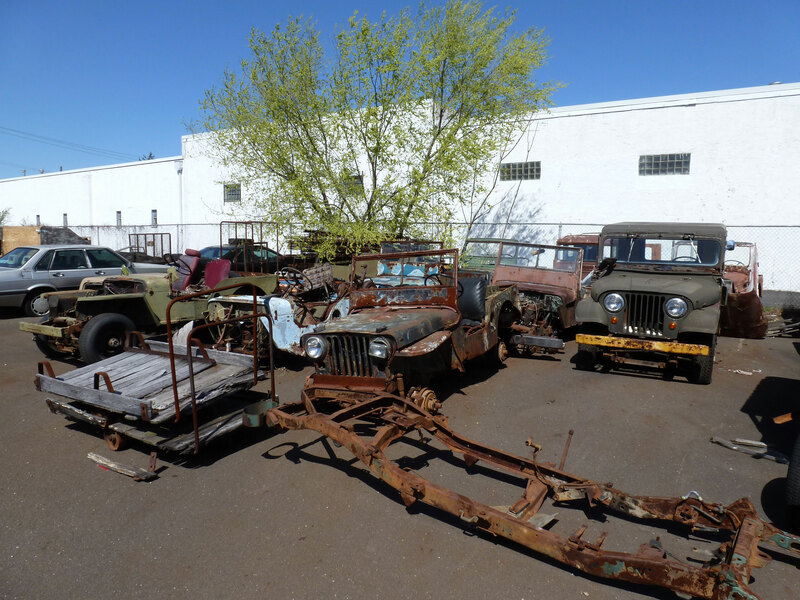 Sadly the cars in the junkyard will never come out again, and the restorable antique trucks which sat outside the gate were all priced far too high to ever sell. So someday they will wander in or be scrapped as well. Our first car is more a curiosity and less of a gem. 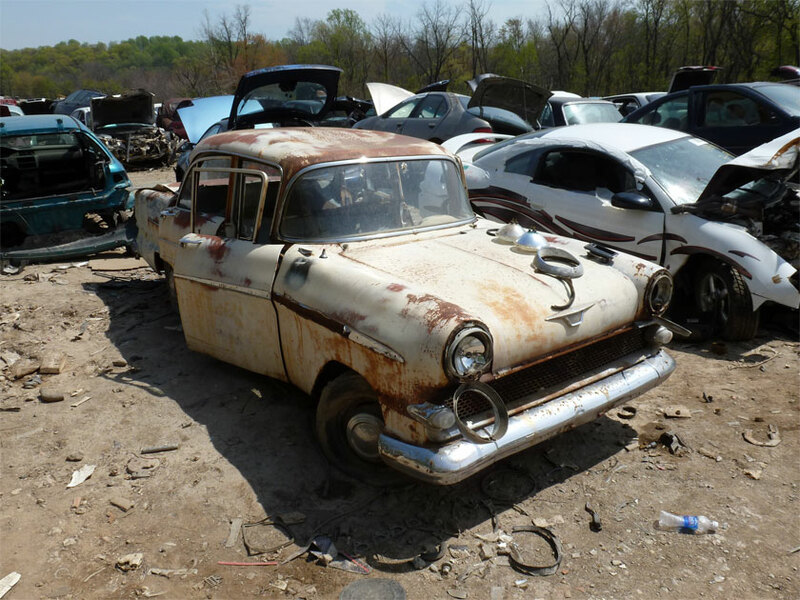 Who would expect to see a vintage Vauxhall in an American junkyard? The car is pretty far gone, but I wanted to include it as an oddity. I have no idea how it has escaped the crusher. Our next item was a gem, a late 40’s (?) Buick. 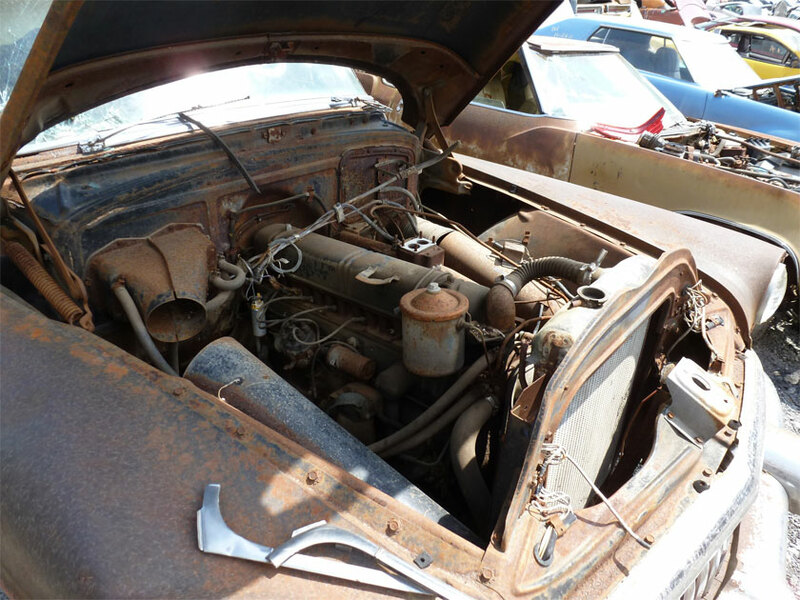 This car was very complete and probaby was quite the barn find when it was sent off to the junkyard. It only appeared to be missing a carburetor and one other item from the engine bay. The back seat had two of the huge airfilters sitting on it. Even the guages were intact and still in the dash. I was amazed that the junkyard marauders had not smashed this one up. I can only hope they were awed by its faded beauty and decided to leave it alone. This final gem was heartbreaking. How often do you see a vintage Datsun that has no rust? This one is a 1973 Datsun Z Fairlady. The body is solid, no through rust, perfect floors, straight frame, intact engine, all carbs, all VIN numbers and dataplates still present. The photo below is of Mike (who has owned many Z’s) staring at it and telling us about the features of this very rare car. The junkyard was a fun romp on a perfect day, but for antique car lovers I think it was too much like taking a dog lover to visit the pound. When you leave such a place you know you had fun visiting, but you feel bad for leaving these lost pets behind. So, this was the official weekend of mechanical failures. You ever have one of those mornings where you wake up, slowly everything goes wrong, and then you look out the window and a GIANT Billboard has been erected beside your house that says,” Give up and go back to bed! !” ?? This was that weekend. 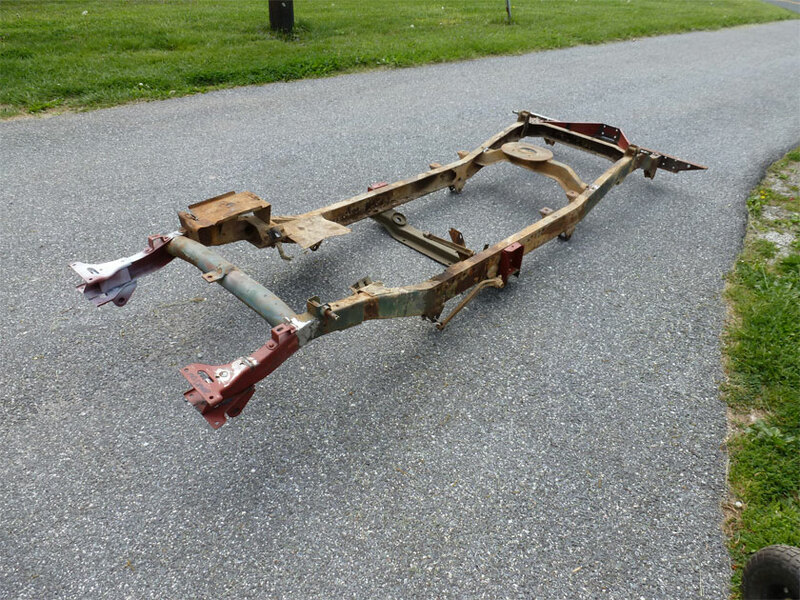 We began with Bobby taking the veteran’s Jeep frame apart and getting it ready to weld everything straight again. All that went fine at first. Well, I have limited power to the new shop (we need to install a direct drop from the power lines) so when the welder was plugged in we did not have enough juice. Friend Mike goes home and gets his generator. This generator fails to start. We check fuel flow etc.. and all seems good. More pulls, no start… grrrrr… what have we done to anger the generator gods? We dismantle the carburetor and all sorts of luminescent sludge is clogging everything!! What the heck, eh? Not sure if the fuel went bad, fuel stabiliser went bad, wicked witch of ethanol cursed us, who knows. So, we clean and blow out said carburetor. Still no start. We do so again, still nothing. We sacrifice a gasket to the gasoline gods… still nothing. We get a second generator and we find that our second generator WILL NOT START either!! The fourth pull and the string broke. We rebuilt the starter pull but still had issues. We finally give up and take my 1941 offroading, drink some beers, and figure we will try again Sunday. 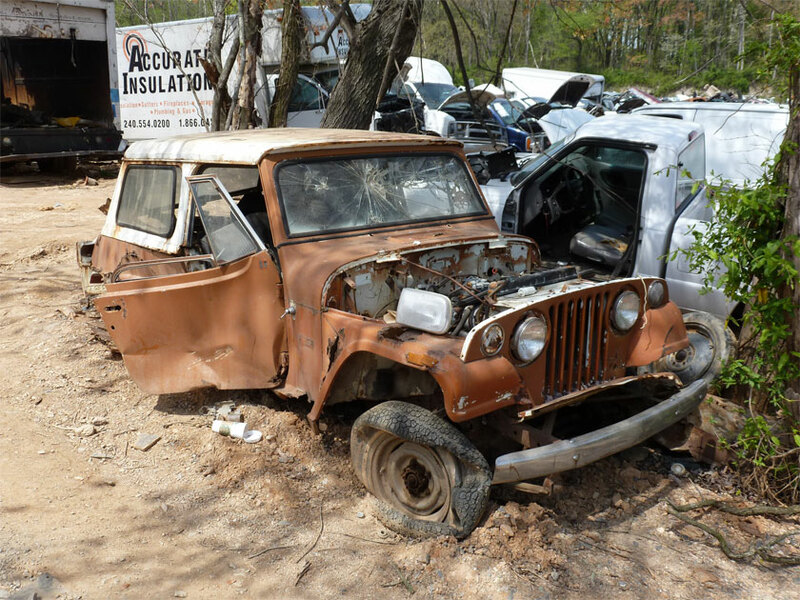 Sunday begins with a text from Mike that Tugger (his YJ which rescues all our vintage Jeeps from barns and such) has failed. Luckily the Jeep gods smiled upon him and he was only a couple miles from the shop. Mike did not want to go golfing anyways so Tugger saved him. However, Tugger saved Mike from walking after a small, white ball by losing an idler pulley. The pulley probably resides in shattered pieces on a local road. So we set about repairing that pulley only to have the long adjuster bolt snap. (see photos below) It was rusty towards the bottom and thus snapped rather than adjust. After a couple beers and much frustrated venting of spleens Bobby had a great idea, “let’s go to Crazy Rays in Mt. Airy” So off we went to see if we could find a replacement idler adjusting bolt. We managed to find two that were in much better shape. 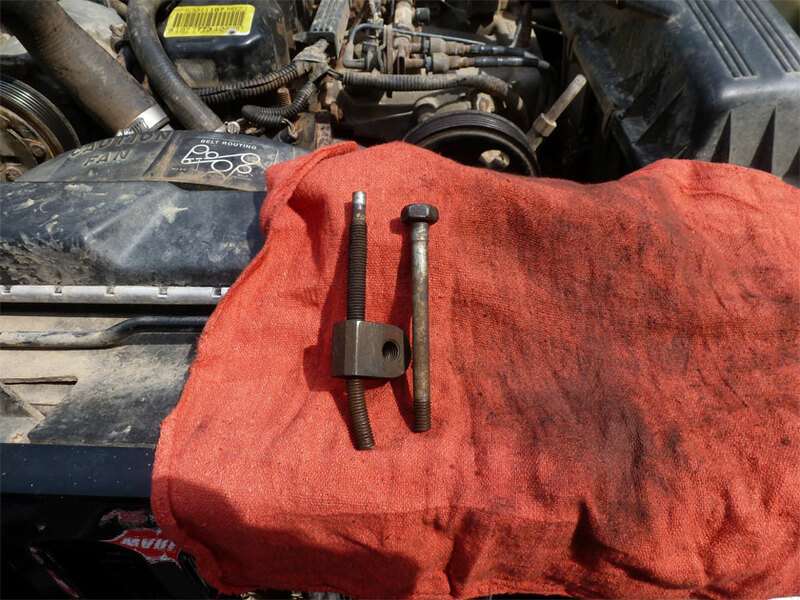 I put in a couple shots below of Jeeps in the junkyard and will post more photos next time of other items we found. 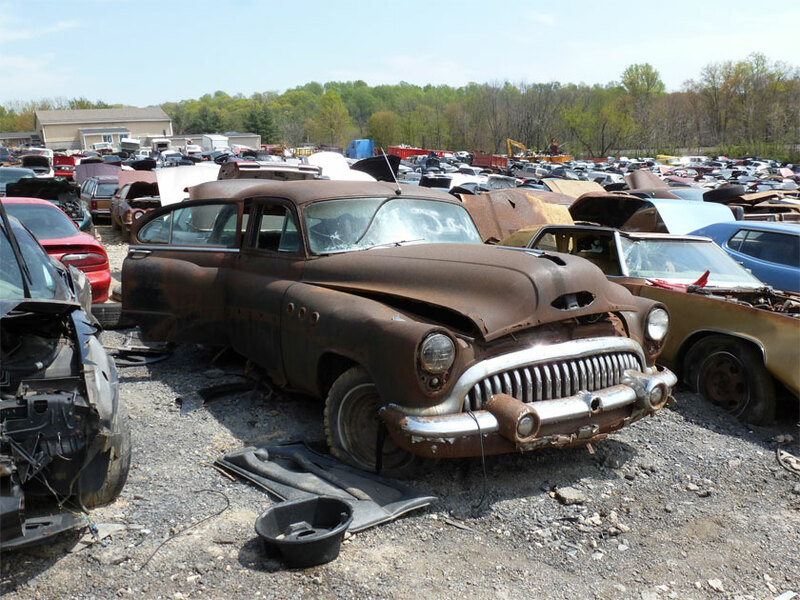 Junkyards are fun and sad at the same time. I thought I would post some pictures of the scrapyard at AJP. It says something when even the scrapyard is carefully lined up. 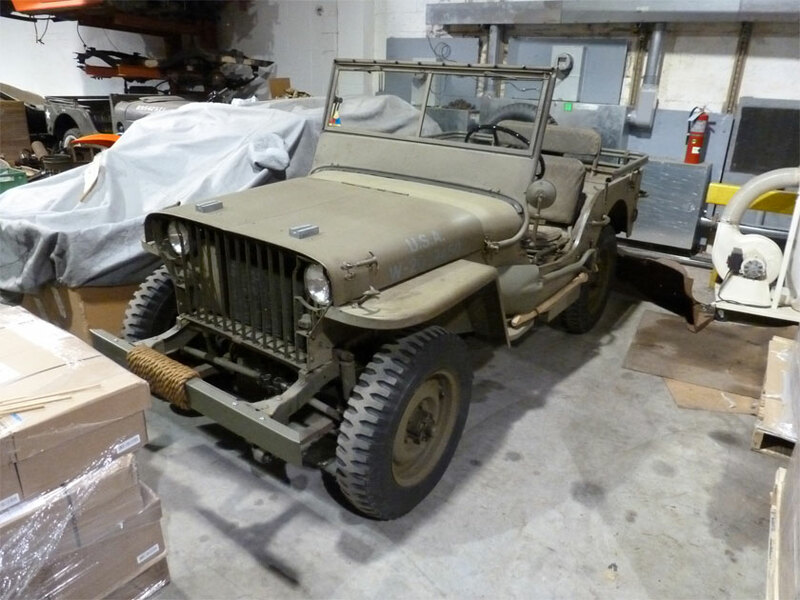 Most of the Jeeps were CJ2A’s and 3A’s with a couple M38’s and M38A1’s. There were a handful of WW2 Jeeps scattered amongst the wrecks as well. There was even a rather nice Ford GPW frame. It was interesting seeing the wide variety of Bubba modifications on both military and civilian Jeeps. While Bubba may drive us all crazy with the things he and his buddies did after drinking a 12 pack, we do have to thank Bubba for keeping our Jeeps on the road and out of the scrapyard. This weekend my Buddy, Mike, and I headed up to visit friend Scott Roberts in NJ. The purposes of the trip were multiple. 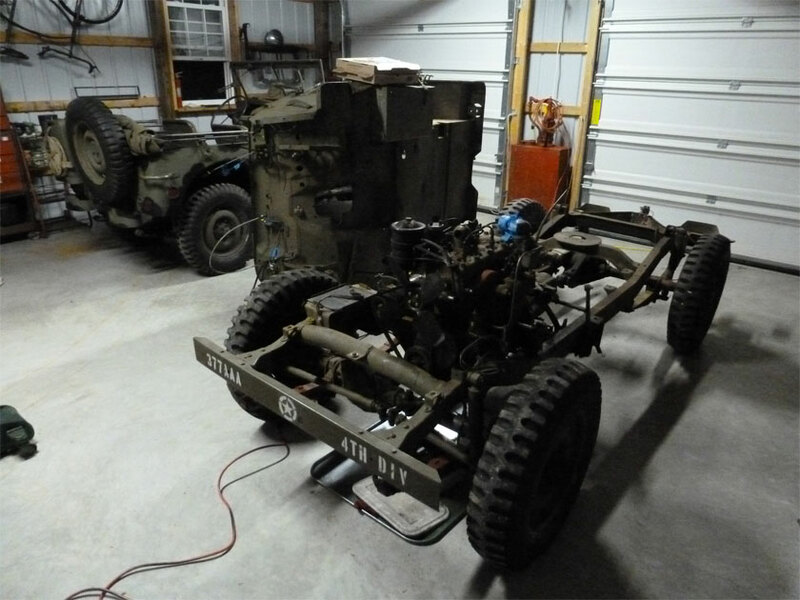 I wanted to see how Scott’s WW2 Weapons Carrier restoration was coming along, and I wanted to pick up sheetmetal that Army Jeep Parts had ordered for us. When Scott picked up the metal from AJP he and George Baxter (owner of AJP) chatted for a bit and realised that George and I had never met in person. Thus George offered for us to come and visit on Saturday. I use AJP as my primary parts dealer because of George’s in depth knowledge, and because he truly believes in doing projects correctly. To do a project correctly one must have the right parts. George seems to search the world making sure he has the best reproduction or N.O.S. parts available for his customers. Sheet metal is mostly produced in the U.S. to exacting standards. 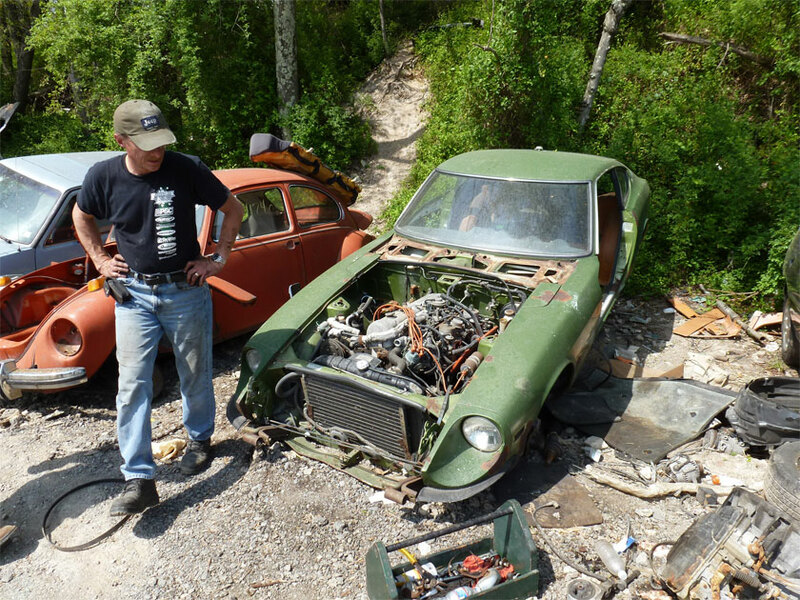 George let us wander his well organised scrapyard, and then showed us his 1960 Austin Healey which he has around 2300 hours into at this point. This is an amazing car which will be lovely to see on the road. The AJP workshop and warehouse are well organised, and host a wide array of rebuilt original parts, restorable original parts and more. Jeep Heaven honestly. 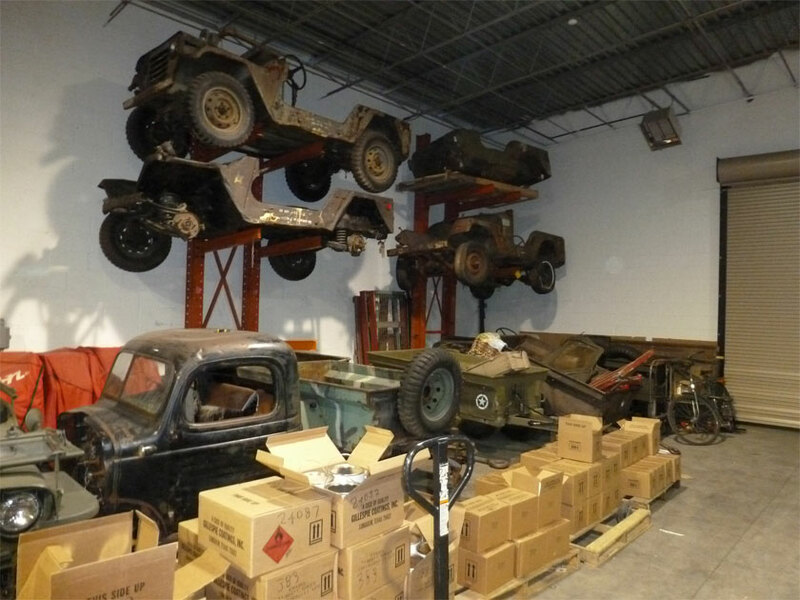 A few of my favorite items were the Wall of Jeeps pictured below, George’s 1941 Willys which he purchased in 1984, and an original crated WW2 engine. Enjoy the photos below (the first is of George and I). There are more to come. Many thanks to George for his help, humor, and hospitality.